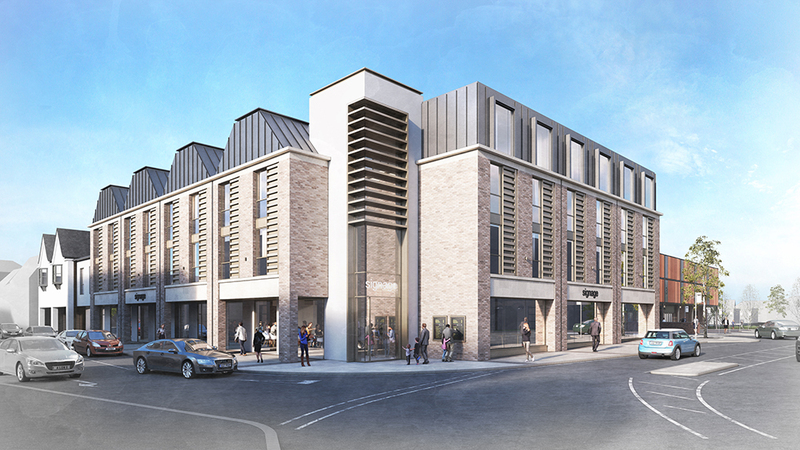 Envision has been appointed as sustainability advisor and BREEAM consultants for Phase 1 of the Bircherley Green Shopping Centre redevelopment in Hertford. The scheme officially gets underway this week when demolition activities began on site. Envision has been appointed by Wrenbridge to provide sustainability advice and BREEAM assessor services for Phase 1 of the project, which involves demolition of the existing shopping centre and the construction of a new 86 bed Premier Inn hotel. The scheme designed by leading architects Corstorphine and Wright provides a more active frontage to the site, whilst introducing a mixed-use scheme into the town centre and connecting in with existing and proposed links and gateways. The hotel is designed to achieve BREEAM Very Good and will incorporate sustainable design measures including CHP, PV, Air Source Heat Pumps and Grey Water recovery. The project is an example of further successful collaboration between architects Corstorphine and Wright, Projex and Envision.